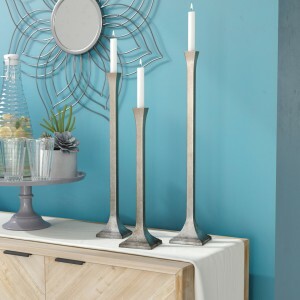 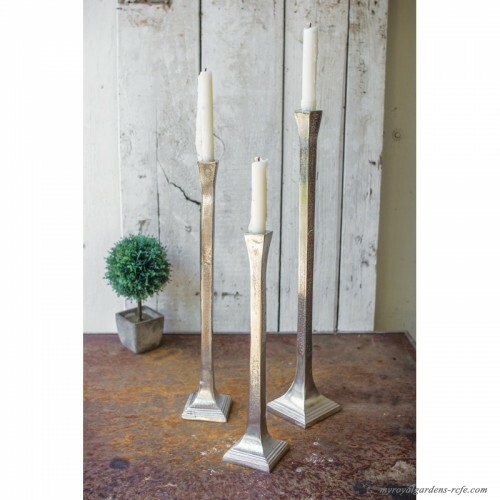 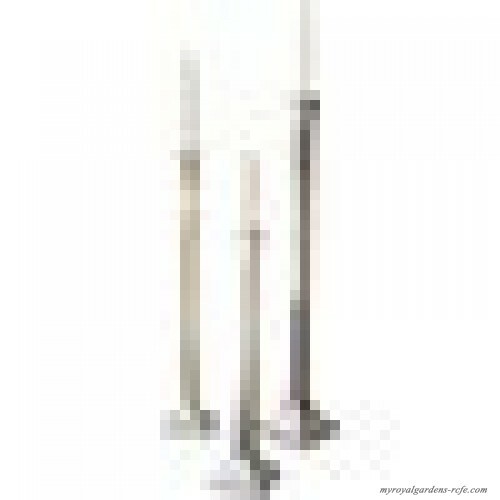 Inspired by antique designs, this set of three metal candlesticks sets a charming foundation for a trio of flickering focal points. Though each design is a different size, their matching square bases and slender silhouettes give them a uniform look, while their weathered metallic finish gives them a rustic feel. 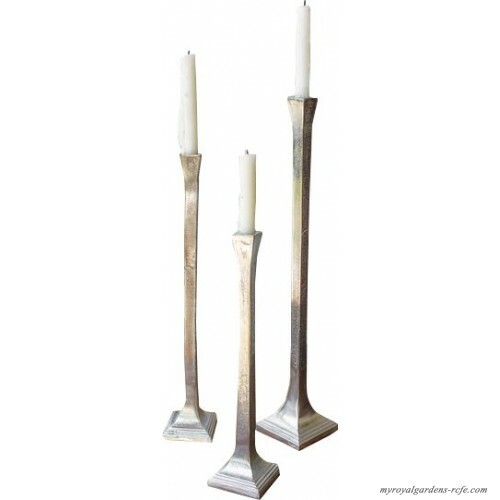 To up the ambience, just place compatible taper candles (not included) on their flat tops to cast a warm glow over your space.